Coming onto the scene 10 years ago, Rhino has developed blinds for every size and every budget. A reputation for quality and near 100% customer satisfaction has a lot to do with Rhino Blinds experiencing 1000% growth in the market share over the last 3 years. SIG SAUER, Inc. is pleased to announce the promotion of John Brasseur to Vice President, Product Management. In this positionBrasseur will lead the product and project management teams for SIG SAUER firearms, ammunition, and accessories. Traditions is excited to announce their presence at the 2019 Great American Outdoor Show February 2-10 in Harrisburg, PA. This annual show will be held at the Pennsylvania Farm Show Complex. The National Rifle Association is proud to announce this year’s show will feature appearances and autograph signings by Duck Commander founder Phil Robertson, hunting power couple Lee and Tiffany Lakosky, big game hunter and outdoor television producer David Blanton, and “Growing Deer” expert Dr. Grant Woods. Norma has announced the introduction of a new jacketed hollow point in .22 Magnum. The load utilizes a 40gr bullet and has a listed muzzle velocity of 1877 feet per second. The American Knife & Tool Institute applauded the introduction of H 124, sponsored by Representative Pat Brennan, R-Chittenden, which will repeal the burdensome state laws that impede on the rights of law abiding citizens of Vermont. Honored American Veterans Afield and the National Shooting Sports Foundation announce the successful completion of the 5th Annual HAVA/NSSF Golf Classic on January 20, 2019 in Las Vegas, with an increased field of 152 players, up from116 last year. Remington Outdoor Company recently recognized their top sales partners for 2018. Awards for Distributor of the Year, Law Enforcement Distributor of the Year, Retail Chain and Buy Group of the Year, among others, were presented during the SHOT Show. Apparently legacy media is surprised to find any safety emphasis at SHOT Show. There was more than they saw and it's typical of the outdoors industry. 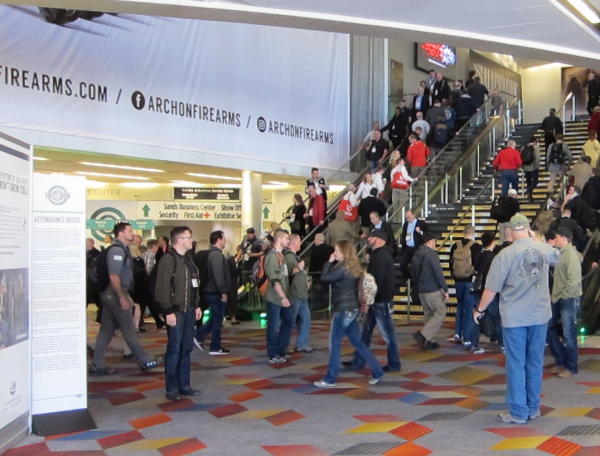 Some non-industry media noted there were safety-oriented displays at last week’s SHOT Show. This isn’t a revelation for industry-insiders and industry observers generally. I saw some of that – though I saw little of the total displays. As our publisher Jim Shepherd noted last week, Outdoor Wire editors separated and attempted to see all of the 2019 SHOT Show. I began on the lower deck and vowed to see everything down there. After just over 3 ½ hours, I realized that I’d been on every aisle, but had really seen a fraction of everything there was to see. I could see that safety is taken seriously –the outdoors industry is government(s)- regulated and has had a strong safety orientation as far back as I can remember. This year’s show confirmed my take. For example, NSSF’s Project ChildSafe was located on the first floor, with an exhibit and information about a raffle in support of the noble effort. Our own Tactical Professor, Claude Werner, was on a mission seeking safe storage solutions to prevent the too-common occurrence of youngsters hurting themselves or others with unsecured firearms. He passed along this editorial. Seeming to applaud the safety emphasis from companies and organizations, the writer sadly and stupidly decried the “giant displays by major gun manufacturers and the National Rifle Association” – as opposed to whatever “safety” is decided to be by the manic media-type person. Here’s the deal: the NRA is the original gun safety organization in the industry. And those “major gun manufacturers” probably have a better record of consumer safety – voluntarily – than the auto industry pre-Nader. Tiger-Vac was one example of a safety company on display. The booth wasn’t getting much traffic while I was in the area, but it’s a company in a specialty field that caters to indoor range maintenance. 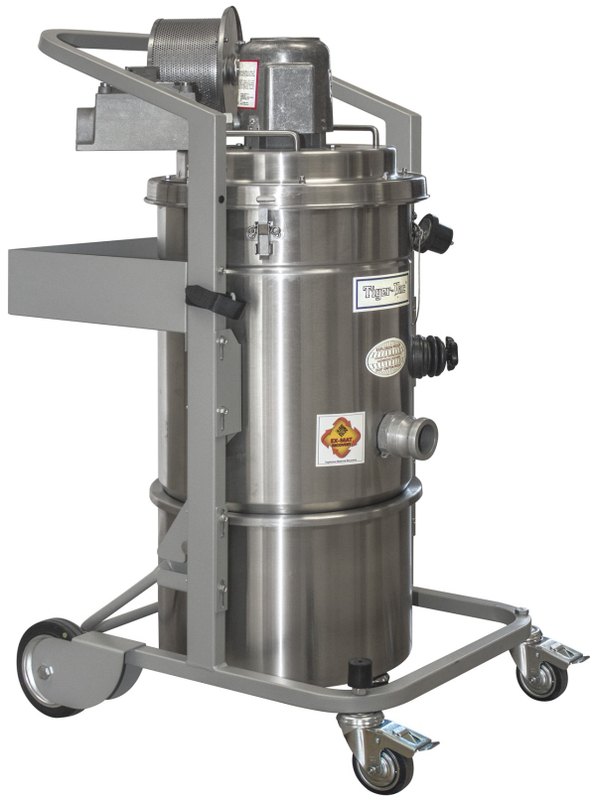 Truly a safety vendor, Tiger-Vac is the manufacturer of an explosion-proof vacuum sweeper for indoor ranges. This product is not for every retailer and not for consumers – except those who use an indoor range. To remove unburnt powder any other particles, you can either mop – using water, which then has to be properly (and legally) disposed of – or use a sealed vacuum. It has to have HEPA filtration to prevent expulsion of contaminated materials back into the environment. It has to be sealed up to prevent exposure of sparks to the contaminants being removed. Your shop sweeper isn’t the right tool for the job and a spark from the motor can cause a sudden, tumultuous negative outcome. This device is certified for use in “combustible dust atmospheres.” If you’ve not seen the range video from Brazil in which government folks were firing shotguns until the flash fire started, you may not grasp how critical such maintenance is – thankfully, someone does. In discussions about safe storage solutions for guns you’re not wearing, a few names were brought up. Surprisingly, one was Hi-Point. Not known for classic beauty or mil-standard endurance, the guns are low priced and seem to work. As importantly, the company knows its customers and knew that people left the store with a gun and no way to lock it up. 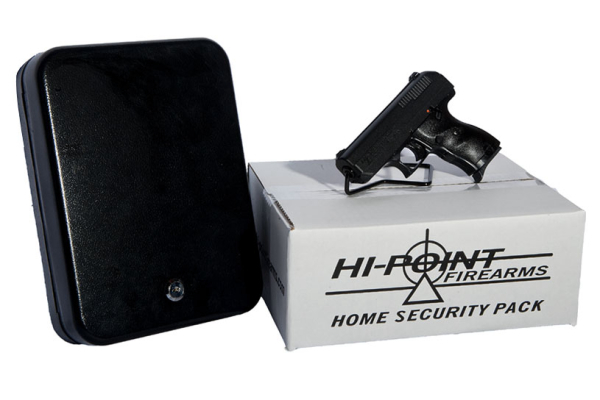 For that reason, they began their own program, voluntarily and without government interference: the Hi-Point Home Security Pack. Available for their handguns, in calibers 9mm, .380 cal., .40 S&W, .45 ACP, the pack includes the gun along with an 18-gauge steel lock box, matched and numbered keys, a 40” rubber-covered steel securing cable and a slotted case for mounting to a surface. 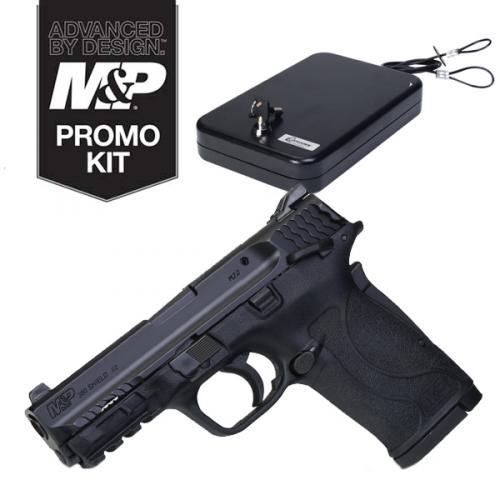 For a time, Smith & Wesson offered a similar deal; the M&P380 Shield EZ Promo Kit. It included their justifiably lauded easy-to-handle, easy-to-shoot Shield in 380 ACP along with a Lockdown Keyed Large Handgun Vault. Made with 19-gauge walls, additional 16-gauge side and bottom reinforcement plate, key-lock convenience and a coated steel cable lock, you could leave the gun shop with your new gun, magazines, ammo and a box to secure the gun from children and the incompetent. It’s a great thing and I think it’s something that should be looked at as a standard product enhancement. A bullet, reloading and ammunition maker was so concerned about gun safety, they opened a security division and bought a safe company. Of course, major players in the outdoors industry aren’t as concerned about safety as the editorialist thinks they should be – or maybe they are. Otherwise, why would a company – which started as a bullet-maker, a supplier and maker of ammunition reloading tools, then moving into loaded ammunition for consumer and civilian law enforcement – buy a security company? Not satisfied with simply being Hornady Security, they even bought SnapSafe, a provider of lock boxes and specialty safes, safe organizers and gun racks. The “safety ship” has sailed – and there’s no calling it back. It’s corporate responsibility on display in an industry of enthusiasts. They want to be safe as they enjoy their sport and businesses; they want family and friends to be safe as well as all their customers.